LEADERS Interview with Diane M. Hendricks, Chairman and Co-Founder, ABC Supply Co., Inc.
An Interview with Diane M. Hendricks, Chairman and Co-Founder, ABC Supply Co., Inc.
Diane Hendricks is Chairman and sole owner of building products distributor ABC Supply Co., Inc. She also presides over 25 million square feet of commercial property and is Chairman of Hendricks Holding Co., Inc., which includes 22 companies in manufacturing, construction, recycling, insurance brokerage, pharmaceutical research, and other industries. With a strong commitment to economic development and education in Wisconsin, Hendricks is also a fervent advocate for her home community of Beloit, Wisconsin. She is the major underwriter of WisconsinEye Public Affairs Network, is co-chair of the local economic development organization Rock County 5.0, and currently sits on the boards of Beloit College, Blackhawk Bank, the Beloit Foundation, and the Hendricks Family Foundation. Diane and her late husband, Kenneth Hendricks, founded ABC Supply (abcsupply.com) in 1982 in Beloit. Today, it is the largest wholesale distributor of exterior building products in the United States. It is a nearly $5-billion company with more than 450 branches in 45 states and approximately 7,000 associates. How did your vision for ABC Supply come about? Kenneth and I were roofing contractors. After about 10 years of struggling with product and service issues nationwide, we decided that a different distribution channel was the only solution to the problem. Our emphasis was to serve small and medium-sized contractors and set ourselves apart by treating them better than any other supplier, and giving them the respect they deserved. Contractors of this size were underserved and we viewed them as the future of the industry. We set out to provide them with the best products, services, and support so they could build their businesses. The result would be satisfied customers. We wanted to bring respect to the industry and understood that the only way to accomplish that was to create a better, more effective system for product distribution nationwide. The concept was to make the process as easy as possible by providing convenient and nearby access to the full line of products. So, in 1982, we identified 250 metropolitan locations that we wanted to serve. Our first store was in Beloit, followed by three additional Midwestern locations. By 1998, we had 200 branches and $1 billion in sales. 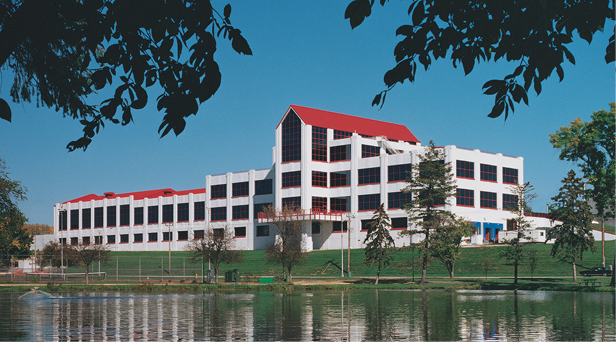 ABC Supply’s National Support Center in Beloit, Wisconsin. plant into ABC Supply’s headquarters facility. As the company grew, Kenneth and I realized that to take ABC to the next level, we needed to bring in professional management. So in 1998, we hired David Luck, who brought with him 20 years of experience at Bridgestone/Firestone, a 2,300-store distribution network. He was our first president to come from outside the company. Through strategic planning and developing education, management, and marketing programs, David paved the way for ABC to take the next steps forward. We achieved strong associate engagement, strong financial results and, simultaneously, delivered great customer service. This enabled us to manage and grow through one of the worst recessions in American history. It could not have happened without his strong leadership and our engaged associates. In 2010, we made our biggest acquisition – Bradco Supply Corp., one of our largest and strongest competitors. Due to the national economic conditions, traditional financing was not available, and it was necessary to take Bradco’s ownership on as a minority partner. It was one of the most difficult decisions of my career. I struggled immensely with giving up those shares, but I did it to ensure ABC’s long-term growth and reputation as the leader in our industry. An essential part of the acquisition was that I would have the ability to buy back the shares in the future at a predetermined value. This happened in April 2013, when I was able to regain ownership of 100 percent of the ABC stock. Keeping ABC private ensured my commitment to the original core values that it was built upon. We are an employee-first company. Our vision is to be the best company to work for in America. Today, we are a proud seven-time winner of the Gallup Great Workplace Award, which recognizes the best-performing, most engaged workforces in the world. Could I have accomplished all of this with just passion? No. You can only accomplish this type of success with the best leadership and management. I am extremely grateful for everything that David and his teams have brought to ABC. David retired at the end of 2013 after leading us through 15 prosperous years, and Keith Rozolis was promoted from president to CEO. I am excited and optimistic about Keith’s new plans, which include reaching $7 billion in annual sales and having 700 branches by the year 2017. Is it more challenging to maintain the entrepreneurial culture as you grow? The culture is alive today, maybe more so than it was 30 years ago. In 2007, with the help of David and the management team, we formalized our core values, which distinguish us: Respect, Opportunity, Work Hard but Have Fun, Entrepreneurial Spirit, Family, Giving Back, and American Pride. These are healthy, traditional American values that make for engaged, responsible associates who embrace the mission of ABC Supply. These core values are not just “talked;” they are “walked” in the everyday life of each associate. We believe in the American Dream and strive to empower every associate to achieve individual success. Living by these values also enables every associate to live his or her own personal dreams within the company. You are a major supporter of economic development and education in Wisconsin, and give much of your time and money to this work. Why is this so important to you? I see it as my civic responsibility. I’ve had wonderful opportunities in my life and feel it is my duty to help create opportunities for others. The key to economic sustainability is a thriving private sector that provides good careers paired with a strong educational system. Today, Wisconsin has brave leaders who are concentrating on our number-one asset: the people of Wisconsin. For the first time in years, the private and public sectors are collaborating to make Wisconsin the best state in the nation in which to live, work, and learn. They are committed to protecting our freedoms and the fundamental core values that I believe in so strongly, including hard work, individual liberty, and personal responsibility. The concept is a common good, focused on opportunity and prosperity for all. Wisconsin’s business-friendly, low-regulatory environment is retaining businesses and generating confidence for new expansion and out-of-state investments. This approach will ultimately produce opportunity for individuals who have ambition and are seeking to do great things. I have faith in the people, employers, and government of Wisconsin. 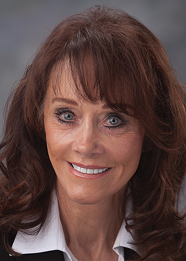 Click Here to Download a PDF of An Interview with Diane M. Hendricks, Chairman and Co-Founder, ABC Supply Co., Inc.